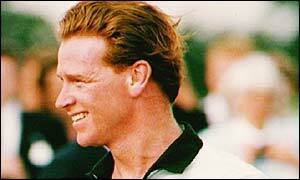 James Hewitt, former lover of Diana, Princess of Wales, has said he is prepared to sell her love letters. In an interview for the American television network, CNN, the former army officer said he would part with the letters for the right price. He described them as important historical documents that should be preserved for the future. The British Library has responded by expressing an interest in gaining the 64 letters for its collection of royal manuscripts. Dr Christopher Wright, head of manuscripts, said: "The British Library would be an ideal repository for the correspondence of the late Princess of Wales." But it is unlikely Mr Hewitt would give them away freely to a museum. He said he has already been offered �4m for the intimate hand-written notes and defended his right to bargain a price. "I'm not being hypocritical about this, I'm being honest," he told CNN's Larry King. He said that ideally the intimate correspondence, written between 1989 and 1991, would go to a private collector or a museum. "I think it's important to understand that they are or will become important historical documents," he added. He denied that he had betrayed the princess and that he was "utterly faithful" to her when she was alive. "There's nothing to be ashamed about in the letters," he said. He was asked whether he would consider donating the letters to the British Museum, for example, or give the money he got for them to charity. He would not say what he would do with the money and brushed aside the suggestion about giving away the letters to a museum or Diana's sons. The princess admitted her affair with the major during a BBC Panorama interview. She said he had been a "great friend to her at a difficult time". But she admitted she had been "devastated" when Hewitt co-operated with Anna Pasternak's book Princess in Love about their relationship in 1994 because of the effect on her children. He was asked how he felt about the effect of the letters becoming public on Princes William and Harry. He said they were "well written and loving", "nothing to be ashamed of" and not salacious. His decision to sell the letters was criticised by the Duchess of York who was a guest on the show on Wednesday. "Betrayal, I think is the most horrible, horrible, disloyal thing you can do to anyone," she said. "He left us in no doubt that he was now willing to sell"